I like the Senate, I really do. I like the idea of it. 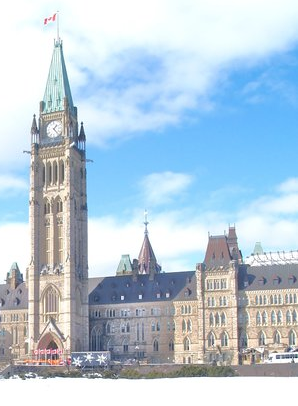 I like the concept of a house not dominated by partisan politics: A place which purports to advise any bill passed by the lower house to ensure that it supports the overall will of every Canadian. I like that it represents all of us in our nation, spreading the power and authority unto every region of Canada, and gives some of our various cultures a say in governance. However, this system is deeply flawed. It hails back to the days where there was an upper crust to society. The regions of Canada that the Senate grants disproportionate power to, do not encompass the vast diversity of our nation. How can one claim that the Senate grants power to the various regional cultures without remembering that our nation is one of a multitude of cultures? Where are the Aboriginal Senators? Where are the LGBT Senators? Where are the required female Senators? Such a list goes on and on. When will Canadian’s realize that we are far more definable than where we live. We are all human beings who love and dream and work for this country, each with our own experiences and differences. How can you expect a Quebec Senator to represent all the people they represent? Last I checked, a gay French-Canadian has a different political agenda than a Haitian-Canadian, and even if they’re neighbors, they could have a totally different political agenda or culture. Regional representation assumes that our nation is a country of pioneers from vastly different European powers, or that we as Canadians, despise or are in fear of each other. The Senate, therefore, must be reborn into an institution that unified Canadians. If I had my way, I would create a Senate that is created and dissolved at the same time as the House of Commons and is elected by a national proportional vote, or in plain English, the national popular vote of all voting Canadians. Then, taking the proportional percentages, representatives will be added, by will of the party leader. This will happen until the Senate best represents the national will of Canadians. This will allow for a multitude of benefits to our democracy, like preventing an unpopular majority government. The best example could be how the Conservatives won a majority of seats, with only approximately 40 per cent of the popular vote. It will allow Canadians to support smaller parties, such as the Green party. For those of you who worry that this will cause a more American situation, I remind you that this will be no more politically frustrating than any other minority government situation that happened in the past. This system would force parties to have a majority of the popular vote, to have a full majority government. But, if you’re worried about placing too much power in the hands of the party leaders, you forget that party leaders must already give their blessing to all electoral candidates. This would change nothing. With all the benefits, why would we get rid of the Senate? With just a few reforms, our nation could be running more efficiently and with better governance by the end of the year.